Historically known as the Cooper Gallery, this endearing icon of Menemsha has remained in the same family for years. 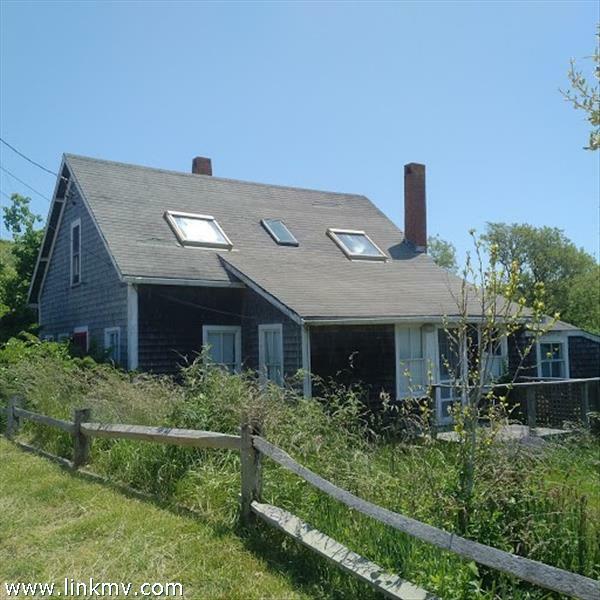 A 3 bedroom cottage with a wonderful location, centrally located to all things Menemsha has to offer. Large Kitchen space with dining space, spacious living room, full bathroom and a bedroom make up the first floor plus a large deck space. Upstairs is two bright bedrooms with skylights. Kitchen, Living room, bedroom and full bathroom. Small pantry with washing machine.